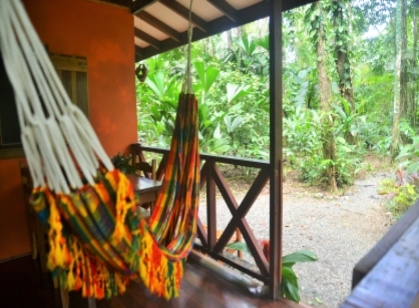 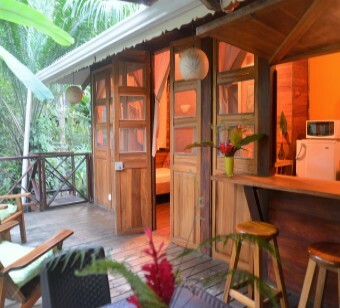 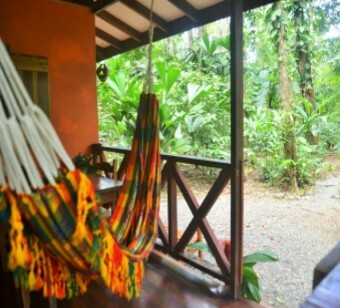 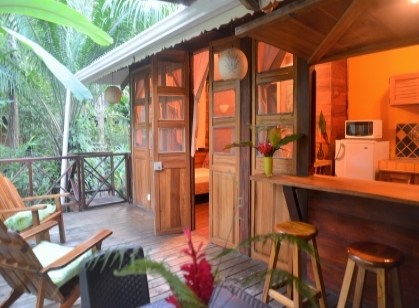 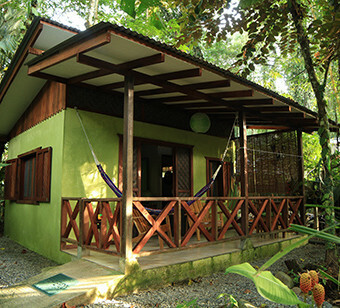 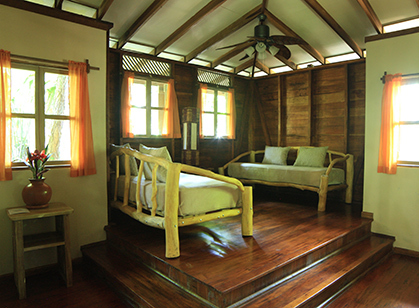 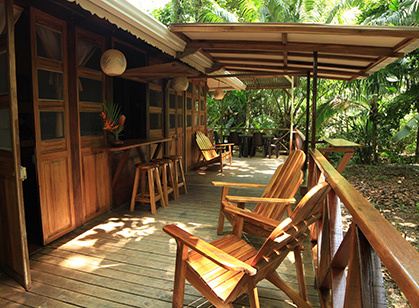 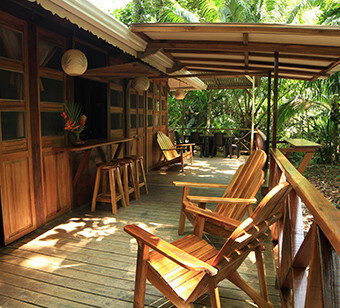 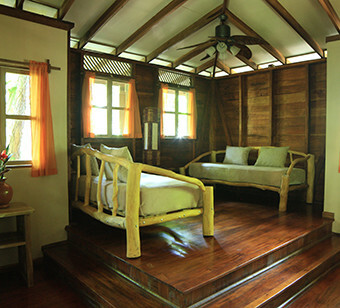 Eco-friendly B&B between beach and jungle in Punta Uva – Bungalow Rental with pleasant situation to visit Puerto Viejo and Manzanillo. 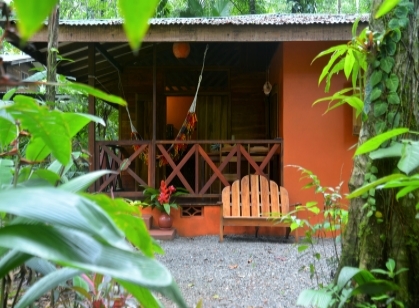 South of the Caribbean coast of Costa Rica, 8 kilometers from Puerto Viejo, within the “Gandoca-Manzanillo Wildlife Refuge”, Estelle and Florian welcome you with their French Touch, 200 meters from the wonderful Punta Uva beach, in their lush tropical garden at the edge of a river. 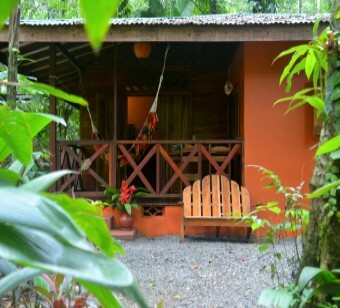 Spread out in our tropical garden were you will meet white faced capucins, howler monkeys, sloths, toucans, parrots, hummingbirds, butterflies, ... our lodges guarantee quiet, relax and privacy. 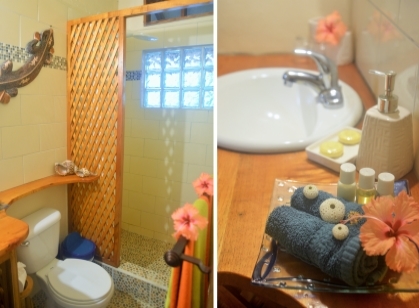 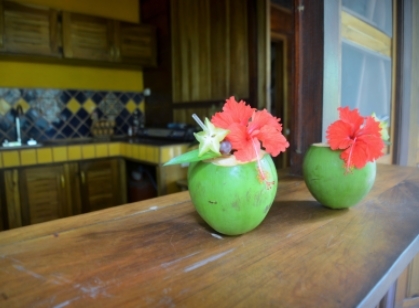 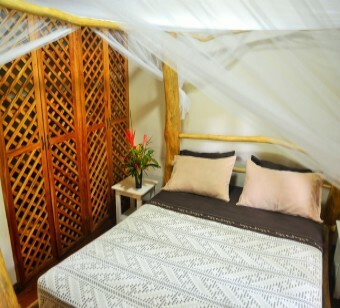 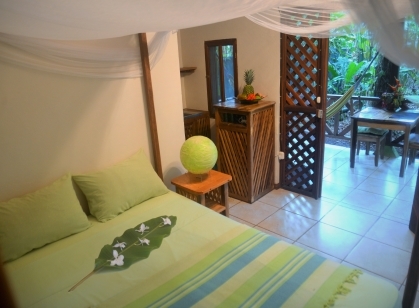 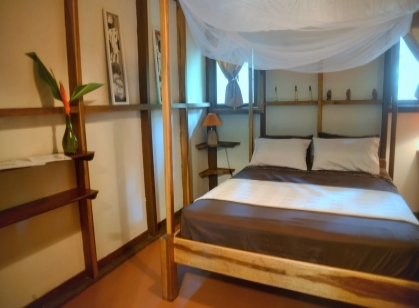 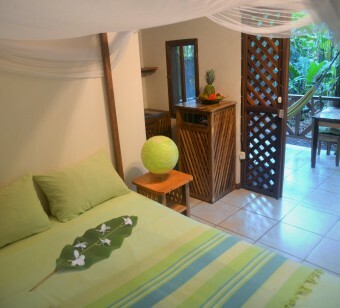 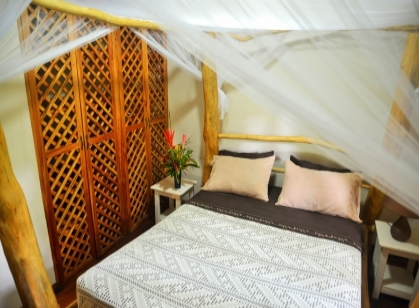 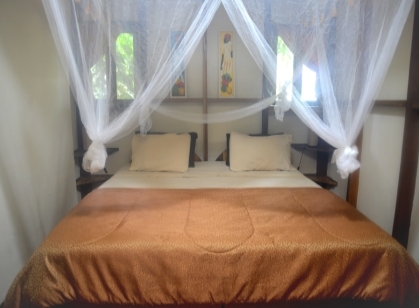 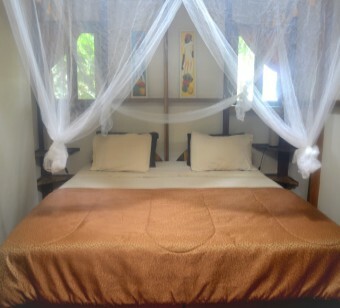 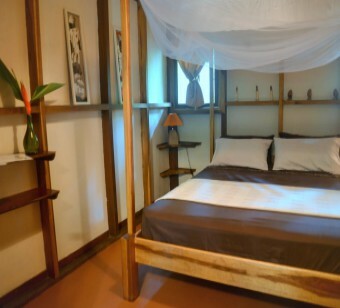 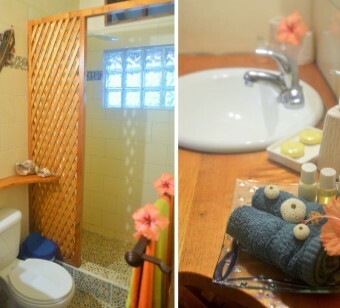 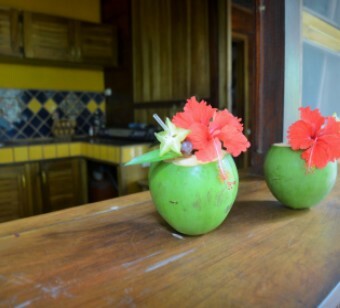 Our casas and casitas, with a personalized decoration, have mosquito net at all our windows and all our beds, a fitted kitchen, bathroom with hot shower, very comfortable bedding, ceiling fans and a large private terrace with chairs and hammocks. 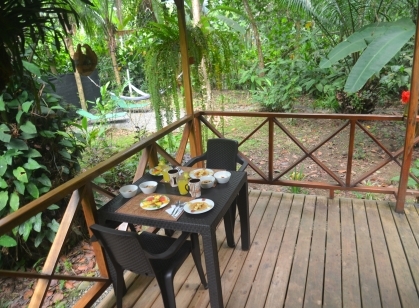 Copious breakfasts are served on your private terrace overlooking the pleasant shady garden. 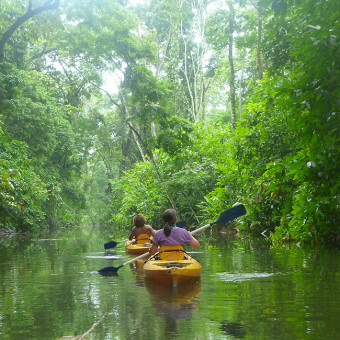 Punta Uva beaches, ideal for swimming and all very beautiful are located 300 meters from Pachamama, at the mouth of Rio Ernesto, our jungle river. 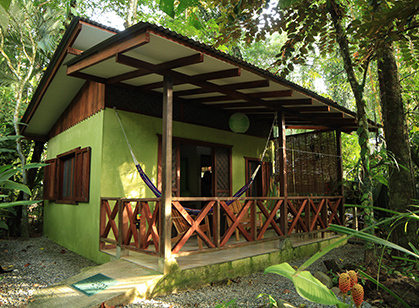 Enjoy the beauty and tranquility of tropical nature in Pachamama, while still being steps or paddles from the beach and close to local restaurants and activities. 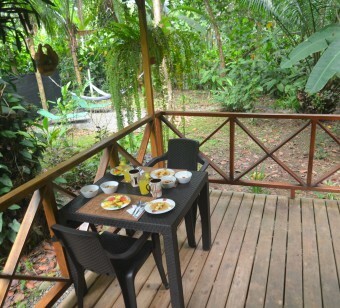 • Breakfasts served on your private terrace.